This decision has contributed to a 29% cut to our Welsh Books Council grant. Following the result of the EU referendum our situation remains the same, at least until the UK leaves the EU. In the lead-up to Brexit we will be campaigning to ensure that a principle of ‘cultural exception’ is upheld in UK competition law to protect public provision of Welsh culture across the board. For more information about the state aid regulation, how you can support Planet following the grant cut, and to campaign for the state aid decision on cultural magazines to be overturned see below. Planet faces severe challenges as English-language Welsh magazines like Planet have been affected by a new European Commission regulation on state aid. From April 2015 onwards, our Welsh Books Council grant has been cut by 29%. Under European Union rules, some state aid to organisations has become illegal because it is seen to ‘distort competition in a way that is harmful to citizens and companies in the EU’. Some exemptions to this rule are granted under the General Block Exemption regulation (GBER). De minimis aid is small amounts of state aid that do not require European Commission approval. For more information see here. Planet, as an English-language Welsh magazine funded by a grant from the Welsh Books Council, has been interpreted by the Welsh Government as not being exempt from the state aid ruling, and its funding is now severely limited by the de minimus regulation. (Books and Welsh-language magazines are thankfully exempt.) This means it has been interpreted as illegal for the state and a number of state-controlled organisations to fund Planet, or any other English-language magazine, by more than €200,000 (~£53,000/year) over a 3-year fiscal period. Therefore the race is on to raise enough extra income to sustain ourselves in the long term. This is a very difficult period for us. However, we have lots of exciting ideas for how the magazine can expand and flourish in the future, and with enough support we are confident that these can come to fruition. There a number of things you can do to help the magazine continue to thrive as a radical, independent platform for Welsh and international culture, politics and arts; and as an essential bridge between English and Welsh-language Welsh culture. One of the most effective ways for existing subscribers to further support us is to take out a ‘Reader-gets-Reader’ subscription for a friend or family member – and under this scheme you can choose your price: anything between £10 and £22! You could also take out a Supporter’s Subscription for any amount between £40 and £100, which includes a book published by Planet and a set of our art postcards. There are myriad ways in which you or your organisation can help to support Planet through a broad range of contributions in kind. 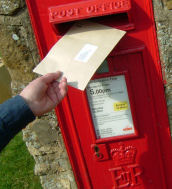 Contributions in kind could include free or discounted use of materials, equipment (including computers), postage, specialist support or waived author fees, marketing and promotional support and volunteer time. We are developing a multimedia marketing network whereby your organisation can arrange to distribute our promotional material to your members and other contacts via print media (newsletters, magazines etc. ), e-newsletters, events and/or an online presence for Planet on your website, and we would be happy to reciprocate this contribution on behalf of your organisation. From May 2015 onwards, Aberystwyth University have generously offered us an office in the historic Old College, support which is essential for sustaining the magazine. Likewise, in 2015 the School of English, Communication and Philosophy at Cardiff University have kindly given us vital financial sponsorship. However, for our long-term sustainability we will need to secure further support in the future. Write to us and let us know how you feel about Planet as a reader or contributor. A broad collection of responses will be very useful in explaining to potential funders what impact Planet has in Wales and beyond. If you believe that the new state aid regulations are unjust, see here for more information about who you can contact, and which other kinds of cultural organisations have been successful in gaining exceptions to the regulation. For a presentation by Planet’s editor on the outrageous disregard for the EU’s own principles of ‘cultural exception’ and ‘cultural diversity’ demonstrated by how the state aid ruling affects magazines like Planet, see here. ‘Time and again the magazine has taken me upwards and outwards from the fulcrum of Wales to the furthest reaches of discussion and discovery’Jan Morris.